WASHINGTON -- After enduring months of punishing blows, Volkswagen dealers in the U.S. are getting ready to strike back. It's not just the diesel emissions scandal that has them worked up, said Alan Brown, head of VW's national dealer council. Dealers are seething after having invested $1 billion in new facilities over the past 10 years to support the automaker's plans to sell 800,000 VWs in the U.S. by 2018, only to see sales fall in each of the last three years, to around 350,000 last year. They complain about mismanaged supplies and allocations and about ominous signals from VW Group's revamped leadership in Germany about the company's commitment to the U.S.
"There's no way to spin it," said Matthew Welch, general manager of Auburn Volkswagen near Seattle. "It's a disaster. And it's created by Germany." If not for Volkswagen Group of America CEO Michael Horn, a 26-year company veteran and darling of U.S. dealers, relations with the factory might have turned volatile months ago. But now Horn is gone, and the tense peace that he managed with frank talk, product promises and piles of incentive cash may be gone with him. Brown and 11 other U.S. dealers were headed to Volkswagen headquarters in Wolfsburg, Germany, over the weekend for VW's annual Open Day of new-car drives and talks with senior executives to preview what's ahead. Brown said he would use those meetings to demand firm commitments on VW's U.S. strategy, product launches and volume objectives, in writing, from top VW officials. If he can't get them, Brown said, he fears a mutiny by VW dealers at the National Automobile Dealers Association convention, which begins March 31. "We've got to stop the insanity," Brown said. "By NADA, we'd better have our business plan in writing to our dealers and have a very clear understanding on where we're going, or we're going to lose control of our dealer network." Fueling those fears are comments by VW brand chief Herbert Diess, who expressed skepticism in a meeting on the sidelines of the Detroit auto show in January that VW could compete viably with mass-volume brands such as Honda and Toyota in the U.S. Instead, Brown recalled Diess saying VW may do well to revisit a near-premium product strategy with lower volumes. Given the investments dealers made based on the earlier strategy, Brown said, such a change in direction would be "catastrophic." It also could set the stage for a court battle. Rumors of Volkswagen's dealers suing the factory have swirled since the emissions scandal erupted in September. Some dealers question the wisdom of such a move, but Brown said he received more calls about the topic last week than he has in the previous six months. Kalafer stressed that he is not involved in the effort but said, "I can tell you without question, it's absolutely going to happen. "For an auto retailer to sue his manufacturer, it's kind of like a child firing his mother. It's an unnatural act," Kalafer said. "For the dealers to go to this step is incredible." In an unusual move last week, NADA denounced Horn's departure as a "serious blow" to the dealer network and called for top VW executives to "honor the future product plan that Mr. Horn and VW dealers fought vigorously for in Wolfsburg." 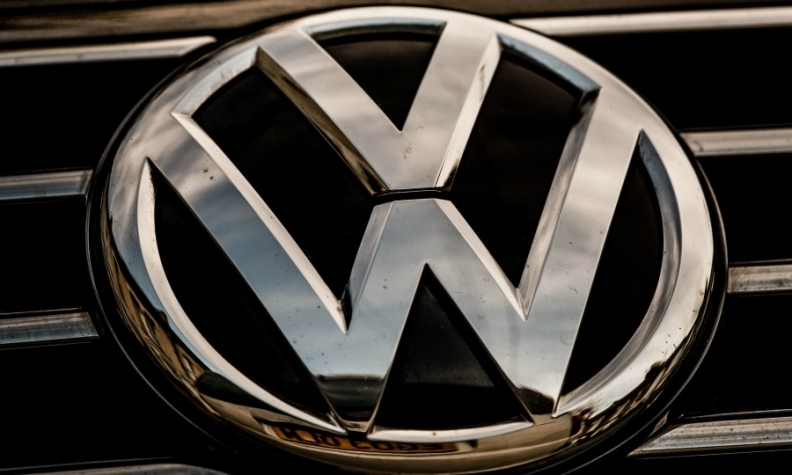 VW officials didn't respond to requests for comment on Friday. VW said in a statement last week that Horn left the company by "mutual agreement" and saluted him for "exemplary leadership during difficult times for the brand." Horn won broad support from dealers during his 26-month tenure leading the brand's U.S. operations. He is credited with persuading his bosses to shorten sedan life cycles to five years from seven, aligning VW with its Japanese competitors. He lobbied hard to bring the Golf SportWagen Alltrack to the U.S. to be VW's rugged, all-wheel-drive answer to the Subaru Outback. During Horn's tenure, VW's North American footprint grew dramatically, with an expansion of its Chattanooga assembly plant to produce its coming midsize crossover and the addition of a product-development center at the site. Horn also backed a revised pricing strategy that put VW models and content more in line with those of the competition. "I've been a VW dealer almost 10 years, and he understood the American market better than any of [his predecessors], and he had the ability to get things done better than anyone else did," said Fred Emich, a VW dealer in Denver. With Horn's exit, dealers worry that VW's product plans will slip. Even though the Alltrack is due this fall, Brown said management still hasn't committed to U.S. volume levels for the car. Amid the management reshuffle and ongoing talks with regulators over the emissions violations, dealers also are concerned about the timing of the midsize crossover and the redesigned Tiguan compact crossover, both due in 2017. One key delay already has occurred: Welch said that VW expected to resume sales of new diesels, frozen since September, on Feb. 1 but failed to receive regulatory approval. "There's a lot of product that is slated to come here ... and it seems like every time we go through one of these [management changes], that those products seem to fall through the cracks," Emich said. VW's problems are worsened by a lack of competitive light trucks, the hottest segments in the U.S. But dealers say their most pressing problem is a lack of vehicles to sell. Mike Morais, president of Open Road Auto Group, said VW's allocation system is so mismanaged that he had to buy roughly 120 new VWs from a recently shuttered VW store in Freehold, N.J., to resupply his VW dealerships in Bridgewater, N.J., and Manhattan. Group 1 Automotive sold the Freehold VW dealership and an adjacent Mercedes-Benz store this year to the Ray Catena Auto Group, which then closed the VW point. "The failure of VW to address the simplest of needs like providing sufficient inventory has forced us to do something like this," Morais said. "The shortage of cars compounded by the diesel scandal has crippled our business."